Mac has recorded and toured with Beolach, Natalie MacMaster, Buddy MacMaster, Ian MacDougall, YoYo Ma, the Rankin Family, Ashley MacIsaac, Allison Krauss, Dianne Krall, the Chieftains, and Art Garfunkel. Wendy is a fiddler/piano player/stepdancer from Creignish, Cape Breton, Canada. Since the early 1990’s, she has toured the world in support of her solo recordings as well as a member of Beolach, and with Mary Jane Lamond. Tickets $15 advance, $20 at the door. Please note venue change. 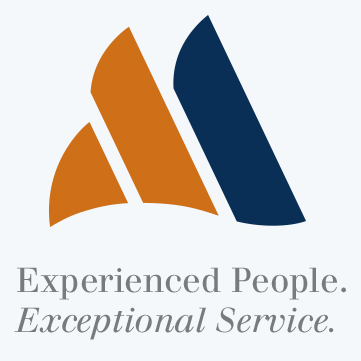 Jeff’s Catering is at 15 Littlefield Way, Brewer. Heron Valley is an exciting group of very talented young musicians who hail from various parts of Scotland’s Argyll region. The band name derives from their local area, Strachur, meaning “Valley of the Herons,” said band member Arlene Mackechnie. 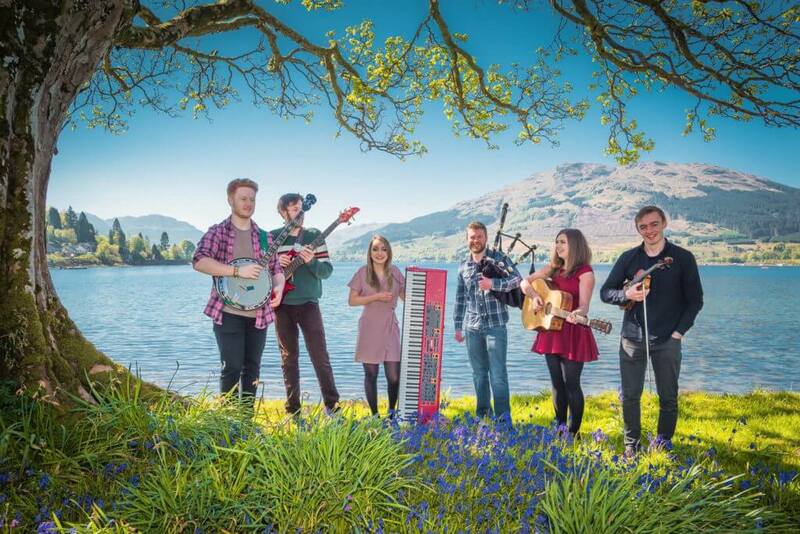 You can expect to hear a lot of original tunes from their debut album, “ROAM.” Band members joining Mackechnie, who plays piano; are Nick Hamilton, drums and banjo; Abigail Pryde, vocals, guitar; Euan McNab, bagpipes, whistles and guitar; and Callum Cronin, bass guitar. Heron Valley’s music is inspired not only by tradition, but their love of the wild Scottish landscape as well. “Quite a few of our new songs are influenced by my home,” said Pryde, who is from the Glencoe area of the Scottish Highlands. “Our sets are based mostly on traditional pipe tunes,” she added. “Our songs are more modern. In Scotland there is a modern folk scene going on.” Heron Valley’s songs “are not quite poppy, but not quite traditional either.” “We like that young people enjoy our music,” said Mackechnie, which is also evident when you tour their website.—Independent Record, UK. Festival crowds love them. The effect of their music “was electric.” They and another Scottish band at the festival had folks “jumping, dancing (and) singing.”—Johnny Whalley, Folk Radio. The band’s love of what it is doing is patently clear in the crisp, fresh arrangements in the group’s album ROAM.” The mix of songs ranges from “energetic, driving tune sets to thoughtful songs. Their technical ability is beyond good, and everything gels together into a natural-sounding maturity that belies their years. If this is what they’re sounding like now, then the future can only hold great things for them.” —Gordon, Potter, Living Tradition. Heron Valley are an energetic, young folk band from Scotland who have serious enthusiasm for the music they play. Their roots lie in Scottish and Irish traditional music, while taking influence from various Folk, Country and Bluegrass styles. 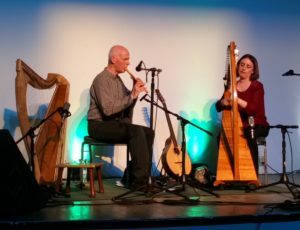 Their style sees traditional Scottish pipe tunes played with a modern twist, along with a varied set of traditional and contemporary folk songs. Their live performances are full of excitement and fire, not to be missed! Due to their early success, Heron Valley quickly made a strong impact on the folk scene in Scotland. 2016/17 saw the band take to more than twenty festival stages throughout the UK and Europe. With a demand for more, Heron Valley released their debut album ‘Roam’ in May 2017. This was extremely well received by their fan base, and contributed to two successful tours of the USA. 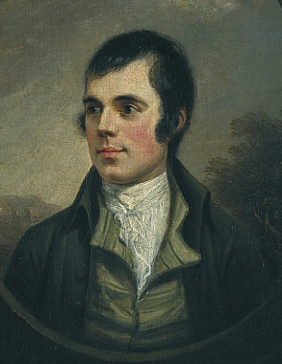 Come join us at our second celebration of the birthday of Scottish bard Robbie Burns (25 January 1759 – 21 July 1796). We will begin the evening with introductory remarks, followed by piping in the haggis at 6:30, with a recitation of Burns’ Address to the Haggis. A traditional meal of haggis, ‘neeps and taties (turnips and potatoes) will be served and is included in the price of the event. Cash bar. Following supper we will have entertainment and a raffle. Please bring your favorite Burns poem or song to share, if you play traditional music, you are welcome to bring an instrument. We will end the evening with Auld Lang Syne. So that we can plan to have enough food we recommend tickets be purchased in advance. 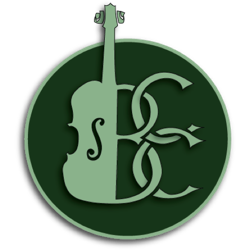 Your presence at the event supports Bangor Celtic Crossroads Festival. From Scotland, Ireland, Isle of Man, Cornwall, Cape Breton and the U.S. Concerts, workshops, film, lectures, exhibits, genealogy, parade! Their entertaining flair and delightful combination of musical instruments engaged an ever changing combination of sound and song. It was a wondrous sight to see siblings so given to their art and each other and it was very evident in their selections for the evening. Coming up June 14 at 7 pm. 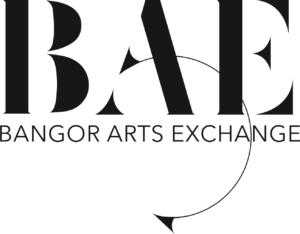 Bangor Arts Exchange an exciting program of Irish American music and step dancing. If you’ve seen them before you know what a great show the Gothard Sisters put on. If you haven’t, well here is your chance! After ten years of playing together and a lifetime of getting to know one another, The Gothard Sisters’ collaborative process and eclectic style has evolved into a jubilant live performance, full of entertaining sibling-banter, Irish step-dancing, foot-stomping tunes, lyrical melodies, storytelling, and a genuine lightness of heart that leaves audiences feeling refreshed and inspired. 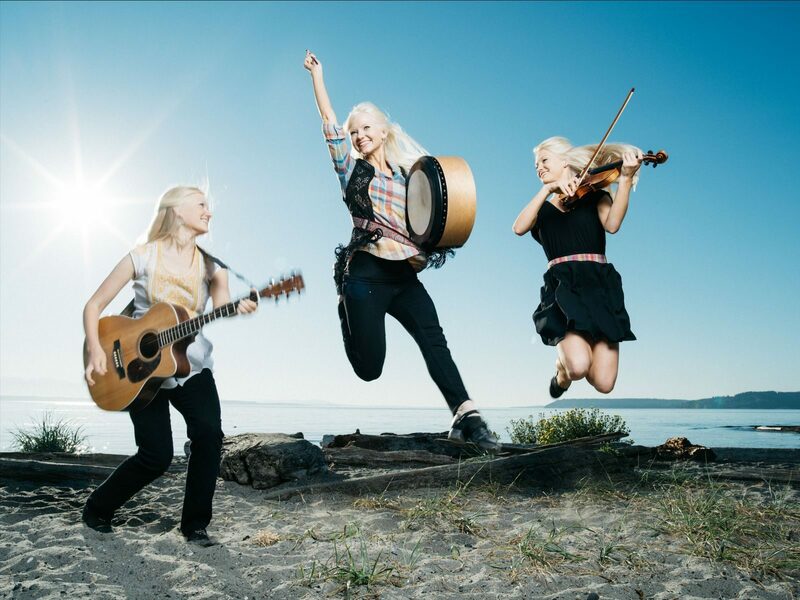 Hailing from Edmonds, Washington – in 2006, The Gothard Sisters first began playing together as a violin trio busking for tips at the local farmer’s market, working their way onto stages at local fairs and festivals. Audiences responded with enthusiasm, and over 1,000 performances later the band recently performed at the Millennium Stage at the Kennedy Center in Washington D.C., completed several national concert tours of the United States, and are well-known musicians on the national Celtic festival circuit. In December 2016 The Gothard Sisters charted on Billboard’s World Music Chart with their latest Christmas album, Falling Snow, alongside notable Irish music phenomena Celtic Woman and Celtic Thunder. The sisters have produced two albums, Story Girl, Compass and Mountain Rose- and self-produced, filmed and edited a collection of music videos at beautiful outdoor locations across Washington’s wild landscape, striking chords with hundreds of thousands of Youtube viewers. Since then their music has been featured on NPR’s Thistle and Shamrock program and PBS’s Woodsongs Old Time Radio Hour broadcast. The evening was a well anticipated one. The chatter about the Harpers grew as some of the crowd wondered if they would play together or separately. Would it have been a case of dueling harps so to speak or could the cultures be intertwined and joined at the strings? There were numbers spent well in a solo effort on both shores as well as a well balanced marriage of the two ends of the isle joining in a most harmonious and melodic grace. The stories never cease to amaze. First of all, who would ever think that an instrumental could be a simple spark of an untold or a variably very told story which seems to be the case for every song. In a life lesson on the same subject it seems that some of the tunes are also tweaked by the artist who plays them at the time, adding and even subtracting bits and pieces of the the tune at their artistic discretion. The titles needed to be adjusted as well depending on the message the composer wished to express at the time. The musical endeavors were superior and masterfully performed. Clarity of the instrument had most certainly drawn the audiences attention due to the delicate nature of the instrument. Included within the musical parameters were the beloved miniature accordion, the whistle, and the ever present bouzouki. They blended well as friendly accompaniment to the featured harp. The traditional aspect was never ignored, ever loved, and most of all respected by both musician and appreciator for hundreds of years past and to come. Two of the Foremost Harpers of Ireland and Scotland Together! Gráinne Hambly and William Jackson. Coming up March 31, 2018 at 7 pm at Bangor Arts Exchange Ballroom. 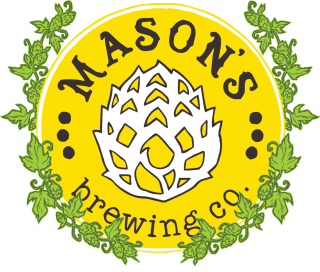 193 Exchange St. Bangor, ME. 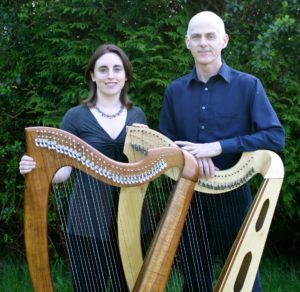 Gráinne Hambly and William Jackson are two of the foremost harpers of Ireland and Scotland. 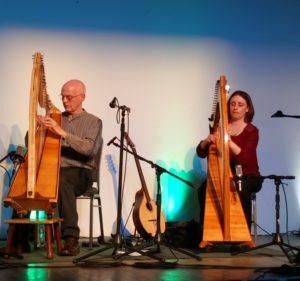 Combining their extraordinary talents on harp as well as concertina, tin whistle and bouzouki, The Masters of the Celtic Harp, have been performing all over the country and dazzling audiences with their artistry. Their Two Sides of Celtic show is a special treat. Since 1998 Gráinne Hambly has been touring extensively throughout the United States and has garnered an ever-growing following of devoted harp enthusiasts and has captured the Irish music fan with the taste for the fast, driving reels and jigs of traditional music. A lifelong County Mayo resident, Gráinne has won the senior All-Ireland titles on harp and concertina in 1994 and then the prestigious Keadue and Granard harp competitions. Her three critically acclaimed solo CDs, The Thorn Tree (2006), Between the Showers (1999) and Golden Lights Green Shadows, (2003) are “must haves” for every Irish harp player and fan. 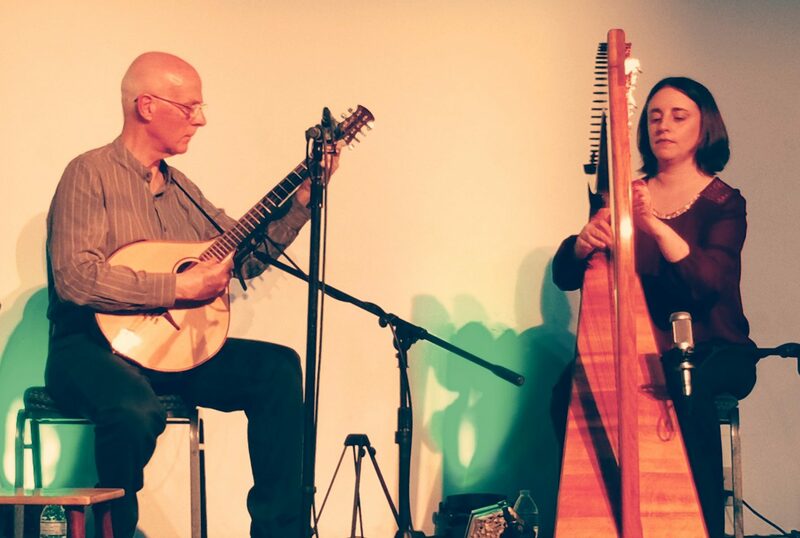 She and William Jackson teamed up and began touring as “The Masters of the Celtic Harp” in 2005 and have been traveling together ever since. They live now outside of Claremorris in County Mayo. William Jackson of Glasgow has been at the forefront of Scottish traditional music for more than 40 years. Besides his stature as one of the leading harpers and multi-instrumentalists in Scotland, William has gained an international reputation as a composer. His “Land of Light” won the international competition in 1999 as the new song for Scotland. William was a founding member and creative tour de force of Ossian in 1976, which became one of Scotland’s best-loved traditional bands. The band, whose music influenced a generation of musicians, extensively toured the U.S. and Europe. Besides harp, he also plays tin whistle and bouzouki. William Jackson and his band Ossian were inducted into Scottish Traditional Music Hall of Fame Sept. 11, 2015 in Inverness Scotland and received the Lifetime Achievement Award from the Somerset Folk Harp Festival in July 2016.The Swannanoa Gathering awarded William its Master Music Maker award for Lifetime Achievement in 2004.